The 2014 Dumfries Hockey Club Summer League came to an exciting end on Tuesday 5th August with all 6 teams competing in an evening of final playoffs. With the Beth Anderson Cook award for the winning team and three Player of the Match awards donated by The Buccleuch, Thornhill, competition was high. The first match saw the team DGRI battle it out with Thornhill for 5th and 6th place – the tie was eventually won by Thornhill in a sudden death penalty shoot-out. Kirsty Anna McLaughlin playing for DGRI was awarded player of the match. The second fixture of the evening was Dumfries Saints RFC vs D& G Council in the battle for 3rd and 4th. D&G Council took the 3rd spot with three goals from youngster Callum Kingstree. Player of the match was awarded to Dumfries Saints defender Rob Orr. The grand final and play off for the top spot was contested by the Young Farmers and Dumfries. This was a highly competitive match with some excellent hockey played and some fine saves from both keepers. Goals from Colin Davidson and Jamie Campbell secured a win for the Young Farmers. Captain Ross Mair and vice Vicky Campbell were presented with the Beth Anderson-Cook award by Paul Cook. Colin was also presented with player of the match for the final by Bob Lees. 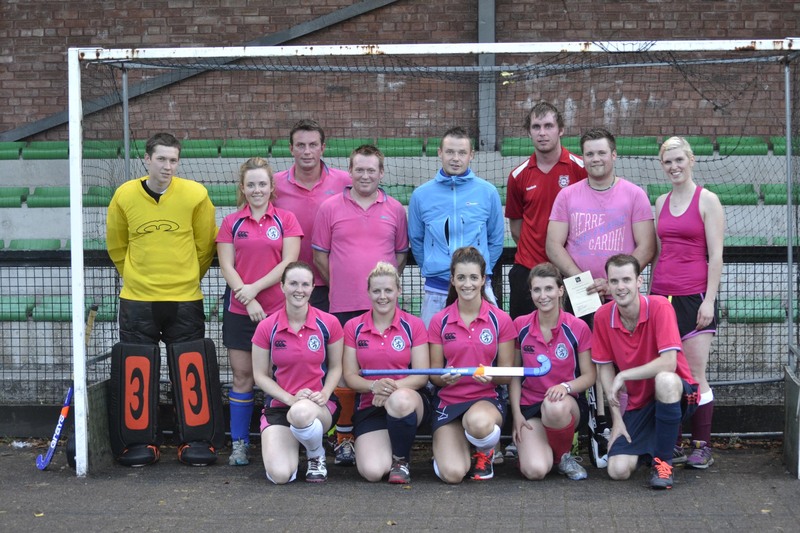 If you are interested in joining Dumfries Hockey Club newcomers are always welcome. Senior training for 16 years + takes place on Tuesday at King George V, Dumfries. Men from 6-7.30pm and Ladies 7.30-9pm. Junior training for P6-S4 boys and girls returns in September. Please see our website or facebook page for full details.